In the news this week, we have seen two stories which show how our society places very different values on vulnerable human beings depending on whether they are wanted or not. Prince Harry and Meghan were in Australia where they announced, just before opening the Invictus Games, which celebrate the physical achievements of those disabled in war, that they are expecting a baby. The second story featured a ground-breaking medical procedure that repaired the spines of two unborn babies while they were in the womb. Both of these babies were diagnosed with spina bifida, a split in the spine caused by the incomplete development of the spinal cord and surrounding bones. These stories have been told in the context of a culture where, under the 1967 Abortion Act, a baby can be aborted right up until birth if he or she is disabled. While 98 per cent of all abortions involve physically healthy women aborting physically healthy babies, every year abortions under the disability clause include babies who have Down’s syndrome, cleft lips and club foot. In fact, when a baby is diagnosed with Down’s in the womb in Britain, 90 per cent will be aborted. ‘Blessed Herman the cripple’ was born in 1013, diagnosed with spina bifida, cleft palate and cerebral palsy. Unable to afford to look after him, his mother gave him to the Benedictine monastery, and it was here that he mastered history, music, poetry, mathematics, astronomy, and theology. Herman the cripple spoke and wrote in German, Latin, Arabic, and Greek, being dubbed by scholars as ​“the wonder of his age”. It does not stop there. Herman the cripple built musical instruments and developed intricate astronomical equipment. Jesus had a heart for the outcasts, for those whom society had rejected. He had a heart for the weak, the lame, and the blind. Further, Herman the cripple published findings on the biological, emotional, and psychological effect of music on humans and the brain, influencing the modern reader. Herman also wrote essays on geometry, mathematics, and astronomy. As if his physical condition could not get any worse, Herman the cripple also went blind. However, blindness did not hinder his dedication and publication of prayers and poetry. He died at forty years old. Who would have thought that Herman the cripple could have contributed so much to this world? Imagine how Herman would be treated in our society today. Would he be part of the celebrated few or the marginalised many? Would he even have made it to birth? The apostle Paul wrote: ​“But God chose what is foolish in the world to shame the wise; God chose what is weak to shame the strong. God chose what is low and despised in the world, even things that are not, to bring to nothing things that are” (1 Corinthians 1:27 – 28). The church ought to be, and often is, an amazing environment for those deemed by society to be the lowest and most unworthy. These were the very people who Jesus chose to be His disciples, for Jesus came to serve, and not be served. Jesus had a heart for the outcasts, for those whom society had rejected. He had a heart for the weak, the lame, and the blind. In His Sermon on the Mount, Jesus challenged His listeners to love those who are hard to love. He said loving those who love you back is easy, for even the tax collectors do that. The church is called to a greater love – one that goes further, deeper and wider. Unfortunately, many people today see disabilities as a problem and abortion the solution, rather than a difficult but transformative invitation to solidarity, compassion and human presence. Herman was born in what was known as the ​‘Dark Ages’. My prayer today is that we emerge from our own dark age when it comes to disability. Photo by Seth Kane on Unsplash. Ricky is a research assistant at the Evangelical Alliance Northern Ireland. He completed his theology undergraduate degree in summer 2018 and has plans to embark on a masters in theology. 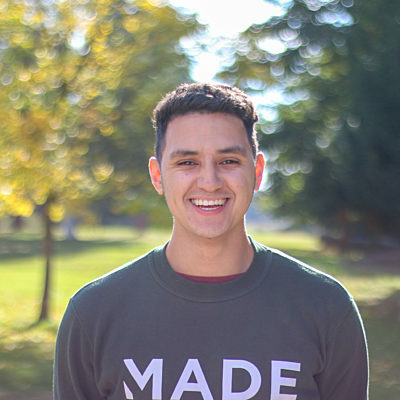 Ricky is particularly interested in apologetics and is passionate about challenging Christians to deepen their faith. Helping to remove intellectual barriers that hinder spiritual growth is another area of interest. At the Evangelical Alliance, Ricky is thoroughly enjoying the cultural engagement and role that Christianity has to play in 21st-century Northern Ireland.